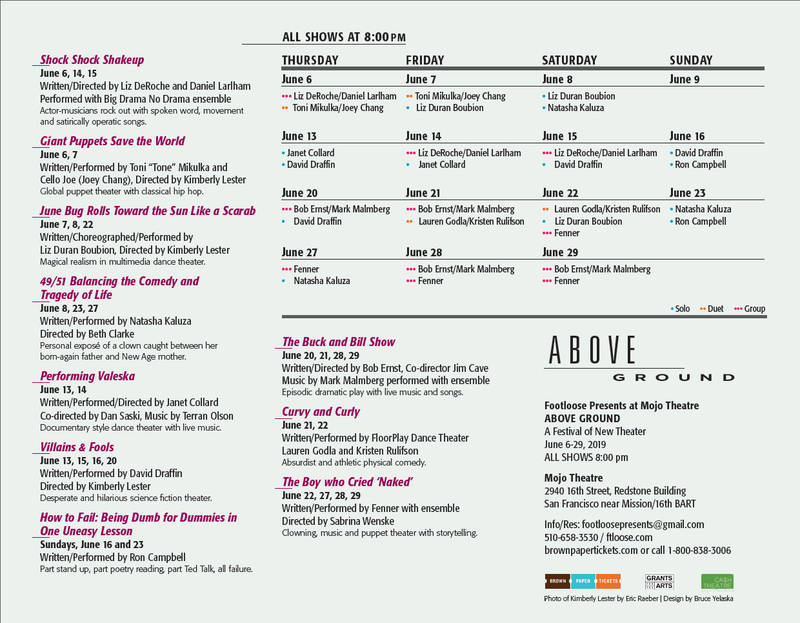 Five soloists and five groups are featured over four weeks with original work for Above Ground festival. The five soloists are: Liz Duran Boubion, Natasha Kaluza, Janet Collard, David Draffin and Ron Campbell. 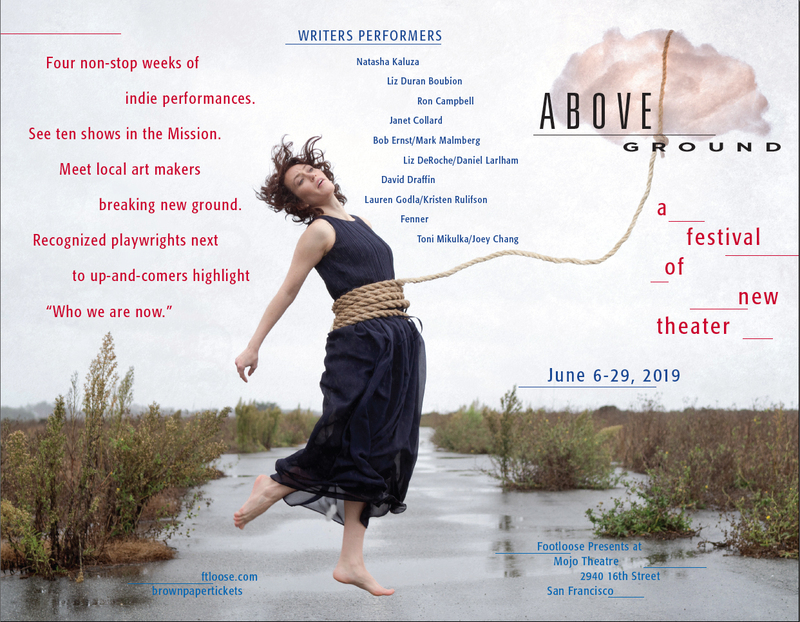 The five ensemble lead artists are: Toni Mikulka/Joey Chang, All Fenner, Lauren Godla/Kristen Rulifson, Bob Ernst/Mark Malmberg, and Daniel Larlham/Liz DeRoche. Actor-musicians rock out with spoken word, movement and satirically operatic songs. Magical realism in multi-media dance theater. Global puppet theater in a mix of classical hip hop and folktales. Personal exposé of a clown caught between her born-again father and new age mother. Documentary style dance theater with live music about the wild eccentrics of 1920's Berlin. Desperate and hilarious science fiction theater. Part stand up, part poetry reading, part Ted Talk, all failure. Episodic dramatic play with live music and songs. Absurdist and athletic physical comedy. Clowning, music and puppet theater with storytelling.